Looking for great apps at a fraction of their regular cost? 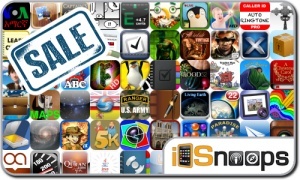 We’ve found 67 iPhone and iPad apps that are currently on sale. This app deal alert includes Bubble Blast X, Modern Combat 3: Fallen Nation, ▻Chess, Fluke, Ingenious, Abby, OmniSketch, Manga DL, Food52 Holiday Recipe & Survival Guide, The Better Bacon Book, Sparrow, CoinKeeper, and many others.